It is with deep sadness that we learn of the death of Professor John Coolahan, founding ‘father’ of SCoTENS. On behalf of current and past members of the SCoTENS committees and the wider SCoTENS family, we express immense gratitude for the outstanding educational contribution John has made to teacher education on this island. Through his pioneering work on SCoTENS since 2003 he immeasurably enhanced cross-border cooperation in teacher education, such that the SCoTENS mission is synonymous with his name. Thanks to John’s vision, teacher educators, student teachers, serving teachers and doctoral students have learned to work across boundaries, to build bridges and to recognise common interests and challenges facing contemporary education on both sides of the border. The opportunities provided for cross-border working through SCoTENS have yielded new knowledge and understandings that shape daily practices and attitudes. 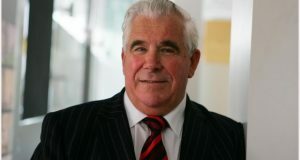 We believe the leadership, foresight and intellect that John has shown in his work generally, and specifically in his work in SCoTENS, make him unique in the field of education in Ireland. We will miss him dearly as a friend and colleague. We will continue to honour his legacy of scholarship, innovation and cross-border cooperation. On behalf of the diverse SCoTENS community, we express our sympathy to his wife, Mary, and to all his family. Writing as a professional development activity in ITE.